Having established ourselves as a leader in the insurance industry, AAG Insurance has provided professionals with unparalleled coverage in the fields of medical spa insurance, aesthetic insurance and cosmetic insurance for over 10 years. Our position as one of the nation’s leading independent risk management firms provides professionals in the medical spa industry with the assurance of unmatched quality. Our portfolio has demonstrated a propensity for exponential growth in the field of cosmetic and wellness services that competitors cannot beat. AAG’s unique service combines an extensive risk management background with the personalization that businesses of all sizes require. We take great pride in our ability to provide personalized medical spa insurance programs that meet our clients’ specific needs. Our policies provide independently tailored programs that recognize the higher standards for licensed practitioners at clinics of all sizes. AAG’s status as an independent insurance agency and brokerage allows our staff to provide extensive services with quality reassurance that is unparalleled in the industry. Our Medical Spa Insurance, Aesthetic Insurance, Surgery Center Insurance, and Cosmetic Insurance programs are site, procedure, and staff-specific. Accordingly, this allows us to focus on what is really important, the protection of our clients. As the name suggests, laser hair removal is characterized by the extraction of unwanted facial and body hair. Due to the delicate nature of the procedure, patients may display a propensity for requiring several treatment sessions to achieve adequate results. The primary mechanism of action focuses heavily on matching specific wavelengths of light with pulse duration of the laser. Precision tuned equipment allows professionals to obtain optimal results with minimal effects on the surrounding tissue. Though the safety of laser hair removal is widely accepted throughout the medical industry, cosmetic procedures involving lasers may coincide with localized damage to surrounding tissues. Though unlikely to happen, adverse events require the appropriate preparation. The use of advanced laser hair removal techniques require the proper medical spa insurance coverage. AAG insurance has a variety of medical spa insurance programs that may prove beneficial to your business needs. Microdermabrasion is a relatively new skin-care technique that uses a mechanical medium to promote the process of exfoliation. This non-surgical technique reduces the presence of unwanted blemishes by removing the outermost layer of the dermis. As a result, the rejuvenated tissue may exhibit a reduction in the presence of acne, age spots, scars and blemishes. As with any medical procedure, complications are to be expected. Though uncommon, microdermabrasion treatment may result in a number of complications. The process of skin exfoliation may coincide with bleeding, infection, perforation and hyper-pigmentation. Businesses performing a procedure as intricate as microdermabrasion need the appropriate medical spa insurance. Accordingly, our medical spa insurance division provides a coverage plan that will help your business avoid unwanted litigation. Intense pulse light, otherwise known as light laser, computer controlled light therapy, or photo laser, is a revolutionary skin treatment procedure that assists in the removal of unwanted skin conditions and abnormalities. By applying a high intensity, broad-spectrum light to the surface of the skin, intense pulse light devices are capable of reducing the presence of age spots, liver spots, wrinkles, freckles, tattoos, facial flushing, hemangiomas, minor sun damage, broken capillaries, and telangiectasias. While the focused optics are capable of producing high intensity light beams, they are not without concern. The introduction of such a light may coincide with dangerous complications. Therefore, it is imperative that medical practitioners, in the field of intense pulse light technology, are covered by the appropriate medical spa insurance. Accordingly, AAG Insurance offers unparalleled medical spa insurance plans that are specifically tailored to the needs of medical professionals. A chemical peel, also commonly referred to as chemexfoliation or derma peeling, is one of the least invasive procedures to improve the appearance of your skin. By applying a thin layer of chemical solution to the dermis, individuals are able to smooth and texturize while simultaneously exfoliating the outermost layer of skin. Accordingly, chemical peels may reduce the appearance of unwanted scars, wrinkles and spots. Though minimally invasive in nature, it is important to understand that chemical peels come with a degree of inherent risk. Having experienced professionals may significantly lower the risk of injury, however, the ambiguous nature of chemical solutions provides for a volatile environment. That being said, it is important that medical professionals, specializing in the field of chemical peels, have the appropriate medical spa insurance. Once believed to be a permanent addition to the body, tattoos are now readily removable through a revolutionary new process. Laser tattoo removal utilizes state-of-the-art technology, along with expert clinical experience to remove unwanted tattoos. Acoustic wave lasers shatter ink molecules into microscopic particles that are easily removed. Though FDA-approved acoustic wave technologies provide a high success rate in the removal of tattoos, they are not without concern. Variations of pigment material provide technicians with an array of obstacles that exhibit a propensity for error. Localized tissue damage may result in adverse reactions such as inflammation, pain and infection. As a responsible practitioner of laser tattoo removal, it is imperative that businesses with medical spa insurance have plans that cover a procedure as ambiguous as this. Clostridium botulinum, more commonly known as Botox, is a bacterium with potentially limitless possibilities of application. Short of a surgical facelift, Botox has become the most popular procedure to reduce signs of aging and provide lasting rejuvenation. Botulinum toxin type A and botulinum toxin type B are both purified substances, derived from a distinct bacteria. Injections of this substance block muscular nerve signals, which then weakens the muscle so that it can't contract and diminishes your unwanted facial wrinkles. In large amounts, this toxin can cause botulism, which is commonly associated with food poisoning. When using such a potentially dangerous substance, individuals must make sure their medical spa insurance limits are extensive enough to protect your business assets. Assuming the role of an important support structure in the skin, collagen is a naturally occurring protein that provides a rigid foundation in which cells and blood vessels may thrive. However, medical science has figured out a way to harness the supportive attributes of this protein and apply them to the medical field. Collagen is now used for a variety of procedures that may ease the signs of aging, fill scars and add volume to enhance the appearance of one’s face. As with any medical procedure, collagen injections coincide with special considerations and risks. The biggest risk with collagen treatment is an allergic reaction. Though uncommon, severe allergic reactions may result in catastrophic complications. If your medical spa clinic offers collagen injection procedures, it is important that you have corresponding coverage. Medical spa insurance plans from AAG Insurance assure medical professionals that their business is protected on every level. Permanent makeup is possible through a procedure called micropigmentation. During a procedure such as this, organic pigment is embedded beneath the skin’s surface to add permanent color. Much like receiving a tattoo, micropigmentation involves a mechanical medium that punctures the skin hundreds of times per minute with a very thin needle that is capable of pushing pigment into the desired location. Whenever procedures are conducted on the human body, specifically with the use of machinery, one needs to thoroughly understand the risks that may ensue. 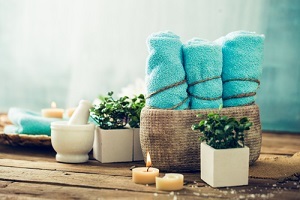 It is imperative that medical spa insurance policies offer your business the proper coverage limits that ensure the protection of your clientele and business. Call AAG Insurance today, and speak with a medical spa insurance professional regarding your permanent makeup practice. The unsightly appearance of blood vessels that have breached the dermis, otherwise known as spider veins, are considered by many to be an afterthought. The practice of sclerotherapy, a non-surgical procedure, has demonstrated a propensity to get rid of unattractive blood vessels in such a manner as not to subject the patient to adverse reactions. The treatment involves an injection of sclerosing solution into the desired vein, causing it to collapse and fade from view. If your medical spa clinic uses sclerotherapy, it is important to make sure that your insurance policy covers the procedure. The volatile nature of chemical solutions are as unpredictable as the complications they are intended to cure. Adverse reactions may result in scarring, bleeding, infection, change in sensation, pain, and nerve damage. Call an AAG medical spa insurance professional today to find out if you have the appropriate coverage. As the single most popular surgical cosmetic procedure performed in the United States, the practice of breast augmentation has experienced exponential growth in recent years. As the name suggests, breast augmentation involves the use of surgically placed implants that alter the shape and size of the breast anatomy. Not only has this procedure helped many women achieve the look they desire, but it has boosted the self-esteem of those previously lacking it. Surgical procedures, especially those involving the introduction of a foreign material, come with an inherent risk. Whether it be practitioner negligence or employee error, it is important for any business that performs breast augmentations to be covered by the right medical spa insurance. Experienced professionals at AAG Insurance can ensure that your business has the coverage it needs. What is Laser Assisted Liposuction? Similar to traditional liposuction, laser-assisted liposuction removes unwanted and potentially dangerous fat from the body. Through corresponding incisions, doctors use hollow suction tubes to remove excess fat from certain areas of the body. A laser guided vacuum pump is then used in conjunction with the hoses to remove fatty cells. However, the mechanism of action in which this procedure works may provide additional benefits. The laser serves as a stimulant to collagen cells, therefore promoting production that witnesses skin-tightening benefits. The invasive nature of a procedure such as this is not without concern. Though viewed as a safe and effective way to remove unwanted fat cells, laser assisted liposuction may result in rare adverse events. As with any surgical procedure, it is important to be covered by the appropriated medical spa insurance. Experienced professionals at AAG Insurance will make sure your business has the necessary coverage it takes to perform laser assisted liposuction. Thermage remains the only noninvasive procedure for skin tightening and contouring on the U.S. market. Thermage technology emits a radio frequency through the skin that is capable of tightening the targeted area. This procedure applies heat to the collagen located within the dermis. Stimulated collagen cells, in turn, produce the appearance of tighter and rejuvenated skin. Invasive or not, thermage is a medical procedure that has the potential to cause adverse reactions to those receiving treatment. In accordance with the appropriate insurance standards set forth by the industry, the addition of thermage to your medical spa insurance will provide your company with an appropriate safety net, should complications ensue. Chemotherapy refers to the treatment of cancerous cells through the use of several regimented drugs. Distinct medications are administered to target the growth patterns of specific cancer cells. A procedure such as chemotherapy comes with a variety of risks, however, the benefit of receiving treatment often outweighs the associated risks. The inherent problem with chemotherapy resides in the drugs that are given to patients. These drugs are tasked with killing and eradicating cancerous cells. However, the drugs are unable to differentiate between abnormal cells and those that are healthy. Therefore, there is a significant risk that patients will lose a lot of healthy cells in the process. Unpredictable circumstances exhibited by the practice of chemotherapy require extensive medical spa insurance coverage. AAG Insurance will help tailor a specific coverage plan to ensure your business is protected from being a liability. Mesotherapy is a minimally invasive procedure that has transitioned to the United States from Europe to treat various injuries and medical conditions. Through the use of conventional or homeopathic medicines, vitamins, minerals and amino acids, practitioners are able to target several problem areas. Micro injections of medications that are specific to the condition at hand are deposited directly into the mesoderm. This procedure has been used to eliminate cellulite, promote weight loss and provide anti-aging benefits. While particularly non-invasive, there is a risk of experiencing adverse events with any medical procedure. If your current medical spa insurance does not cover mesotherapy, you may be at an increased risk of liability. Contact an agent at AAG Insurance to find out how to better protect your business with our comprehensive medical spa insurance. Medical spa clinics conduct several variations of acne treatments. There are numerous forms of acne, each with varying degrees of severity. Subsequently, there is a form of treatment that is directly correlated to the type of acne exhibited by each individual. Often times, chemical solutions are used to reduce the presence of acne and provide patients with a renewed sense of self-esteem. The abrasive nature of the chemicals used in acne treatment procedures may result in a number of complications. More often than not, patients may experience a variety of adverse reactions to the chemical exposure. If your business specializes in acne treatments, it is important to make sure your medical spa insurance policy covers all types of risk. Call a medical spa malpractice risk specialist today at AAG Insurance, and we will make sure you are well-protected. Skin rejuvenation procedures are intended to improve the appearance and quality of one’s skin. Better looking and younger feeling skin may be achieved by a number of procedures, ranging from laser, light and other energy-based treatments to chemical peels and other non-ablative methods. The variety of ways in which skin rejuvenation can be achieved may create a problem for those looking to make sure they have the proper medical spa insurance coverage. Procedures such as face lifts, intense pulse light and chemical peels each have distinct complications associated with their mechanism of action. It is not always clear if your current medical insurance plan covers each aspect. To find out how AAG Insurance can help protect your business from every aspect of these procedures, contact our experienced professionals today. Representatives of the medical community define electrolysis as the removal of unwanted or superfluous hair by process of passing an electrical current through the targeted root. Subsequently, the direct electric current causes an otherwise non-spontaneous chemical reaction that removes unwanted hair. Each variation of this procedure utilizes a thin metal probe that breaches the hair follicle to kill the cells responsible for growth. Electrolysis, like any medical procedure, comes with a certain degree of inherent risk. Though considered safe and effective, it is to be accepted that adverse incidents may occur while using a mechanical medium. If your business uses electrolysis in the removal of hair follicles, it is important that you consult a medical spa insurance professional. Accordingly, the experts at AAG Insurance will help you get the appropriate medical spa insurance your needs require. If your current anesthesiologist insurance plan doesn't cover the growing spectrum of your occupation, we can help you find one. Chin implant clinics insurance programs are vital to protect your business, livelihood, and investment. If you are a doctor or a medical spa director practicing or looking to practice collagen injections, insurance for collagen is a must. Our nationwide liposuction insurance programs are tailored to your med-spa, aesthetic, or cosmetic clinic's needs. Learn more about medical spa associations. AAG remains one of the nation's leading independent risk management firms because we know what it means to exceed the expectations of our customers. Our experienced team of medical spa professionals have created insurance programs that are easy to understand and even easier to implement.